This blog was inspired by a tweet from Gene Frenette who covers the Jacksonville Jaguars and who tweeted about the last 3 years of former General Manager Gene Smith and their number of draft picks still on the roster (half of them are gone). So I decided to take a look at the last 3 drafts under former head coach Jeff Fisher. Of the 2008 Tennessee Titans draft picks, only 2 remain and those are running back Chris Johnson and tight end Craig Stevens. Jason Jones, William Hayes and Cary Williams are still in the league and Hayes plays for Fisher now in St. Louis, Jones for former Titans defensive coordinator Jim Schwartz in Detroit, and Williams for Philadelphia. Hawkins was cut by the Titans last month and signed a 2 year deal with the Patriots. Keglar is a free agent. Like the 2008 Titans draft, only 2 remain and they are Kenny Britt and Jason McCourty. Britt’s issues are well known. McCourty is a good corner and the Titans signed him to an extension on August 23, 2012. Cook now plays for Fisher in St. Louis and Marks signed a one year deal with the Jackonsville Jaguars. Kropog is a reserve lineman for the Vikings and Durand is a reserve lineman for the Kansas City Chiefs. The remainder are currently free agents. 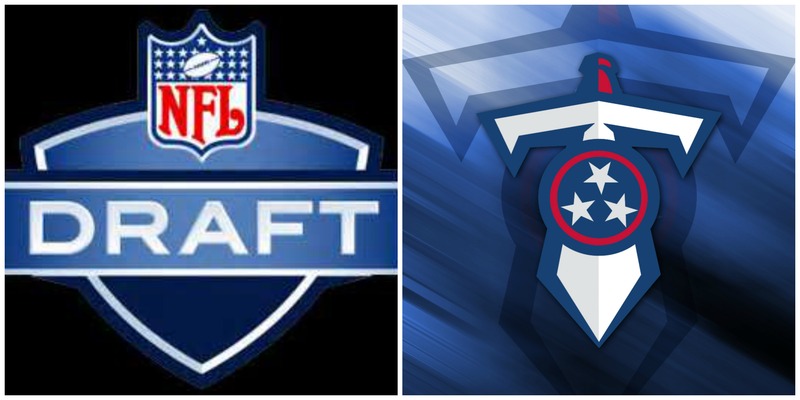 Of the 2010 Titans draft class, Derrick Morgan, Damien Williams, Alterraun Verner, Robert Johnson, Rusty Smith and Marc Mariani remain. Morgan had a very good 2012 season and Verner has been a solid starter since his rookie year. Williams has played well with limited rotation at the receiver position. Mariani made an impact his rookie year as a returner on special teams and made the Pro Bowl. Mariani suffered a devastating injury during the 2012 preseason, breaking both his tibia and fibula and missed the season. Johnson and Smith are still on the roster but Johnson received very bad reviews on his performance in 2012. None have received contract extensions and there has been no word of any negotiations. Curran, Rolle and Howard are out of the league. I think its safe to say the jury is still out on the 2010 class and that the 2013 season will be big for those seeking to earn roster spots and/or extensions. I view the 2008 with mixed emotions. I was very disappointed the Titans let Jason Jones walk but he and Hayes have been rotational defensive linemen since leaving the Titans. Cary Williams had injury problems with the Titans but turned into a solid starter for the Ravens. The 2009 draft has to be labeled a disappointment in my opinion. Next Check Yo Self – Have I Been Fair to Mike Munchak?